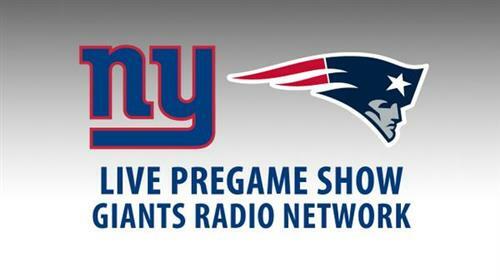 Live updates, commentary, and some wacky tweets from MetLife Stadium in East Rutherford New Jersey as the Patriots take on the New York Giants. Updates from Boston.com's Zuri Berry. 0:38 4th quarter: Giants 16, Patriots 13 — Josh Brown kicked a 37-yard field goal with less than a minute remaining as the Giants took the lead again. 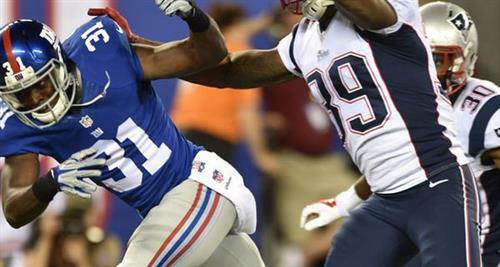 The Giants were helped in field position after an unsuccessful fourth down attempt by the Patriots on their previous offensive series. 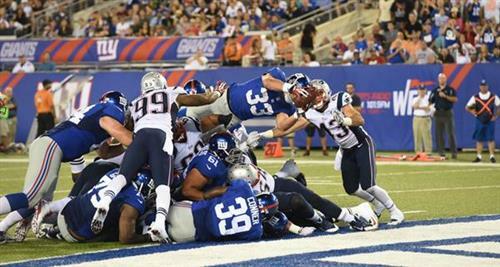 8:57 4th quarter: Patriots 13, Giants 13 — The Giants' Josh Brown kicked a 45-yard field goal to tie the game again. Patriots defensive end Zach Moore had his first sack of the preseason on the drive. 3:16 3rd quarter: Patriots 13, Giants 10 — Stephen Gostkowski nailed a 21-yard field goal after a 12-play, 59-yard drive that stalled at the goal line. 0:13 2nd quarter: Patriots 10, Giants 10 — Stephen Gostkowski made a 37-yard field goal after a 10-play drive that spanned 3:18 to tie the game up. 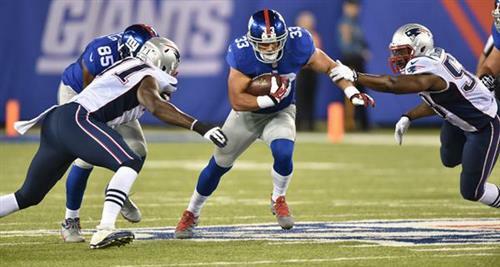 3:31 2nd quarter: Giants 10, Patriots 7 — Giants running back Peyton Hillis jumped over the pile for a 1-yard touchdown on fourth down in the second quarter as New York re-took the lead. 11:06 2nd quarter: Patriots 7, Giants 3 — Jimmy Garoppolo hit Aaron Dobson for a 33-yard touchdown pass, a spectacular catch by Dobson who had to reach back to make the reception. 14:48 2nd quarter: Giants 3, Patriots 0 — Josh Brown kicked a 24-yard field goal as the Giants took a 3-0 at the top of the second quarter. On those three questions to Tim Wright, all talking points in response. Aaron Dobson says he feels good. Certainly looked good. Said they wanted to make sure he got some game action ahead of season. They allowed only three questions for Tim Wright. Michael Buchanan limping through locker room. 37-yard field goal by Josh Brown saves us all from overtime. It appears only Zach Moore and Josh Kline will have played every snap. 2-minute warning. 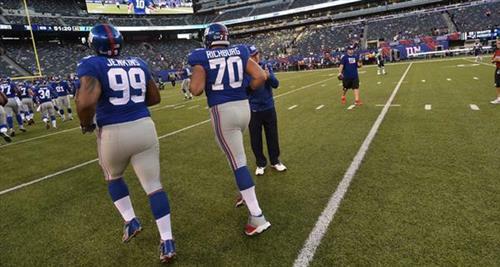 New York Giants could win it. That fourth down pass to Josh Boyce went as predicted. Getting way too close to the 2-minute mark in a tie ball game. Brandon Browner making plays in the fourth quarter of preseason, so you don't forget about him. Brandon Browner baby! We'll see that dude in a month. I feel like we haven't talked about Brian Tyms enough today. Braxton Cave and Bryan Stork both getting work at center in warmups. Josh Kline for the most part at left guard, filling in Logan Mankins old spot. Interested to see what Bryan Stork brings to the table in his first game action. Patriots had hoped he would compete for starting C spot. Bryan Stork is suited up as expected. Will likely get the start tonight at center if Dan Connolly and Ryan Wendell are rested. Both dressed. Aaron Dobson is catching passes in warmups. First for him. Number of times a player has had 10 sacks or more in a season: #Bills —24; #Dolphins —20; #Jets —14; #Patriots —11. Tim Wright is suited up and warming up with James Develin and Steve Maneri. No Hooman. No Gronk. Tom Brady did suit up. But it's just for show. Who says the preseason finale doesn't matter? It matters a great deal for Patriots wide receiver Aaron Dobson, because he is expected to suit up tonight against the New York Giants for the fourth and final preseason game, according to Jeff Howe of The Boston Herald. 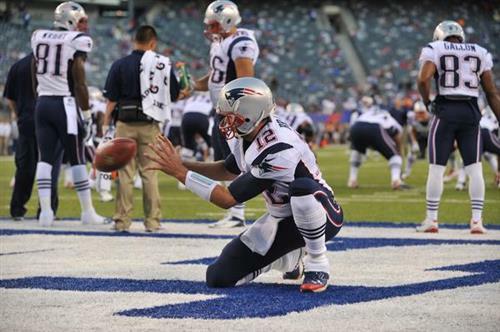 Clearly Thursday's Patriots game against the New York Giants is of little significance to the vast majority of the team. In the final tuneup, for instance, Jimmy Garoppolo will get the start at quarterback while Tom Brady rests for the team's Week 1 opener against the Miami Dolphins. But despite the insignificance of this particular exhibition matchup, there are jobs on the line. The Patriots will cut 22 players by Saturday. There are also questions that need to be answered about how the team will operate in the trenches. Let's examine them briefly here. 1. What's the interior line look like? — In the projected depth chart for the Patriots, given the movements we've already seen this preseason, it appears a combination of Jordan Devey, Josh Kline, and Marcus Cannon will fill in at the left and right guard spots. Based upon opportunities already, it would not be surprising to see Devey at left guard and Kline at right guard to start. But Cannon, who was competing with Dan Connolly for the right guard starting position last camp, could easily fill in at that position now along with Devey at left guard. (Connolly has apparently taken the center duties away from Ryan Wendell.) We'll get either confirmation or clarification of these key positions in Thursday's game. 2. Time to sort out the defensive line, too — It's not all clear and rosy on the defensive line, either. After dropping Tommy Kelly and Will Smith, the hierarchy of the defensive linemen has become a little more muddied, particularly with injuries to Sealver Siliga (hand) and Chris Jones (leg). Siliga practiced this week, which is a good sign. He'll certainly have a place in the starting rotation when he returns. But for the time being, who will fill in next to Vince Wilfork in the 3-4 alignment? In my projected depth chart for Thursday's game, I have Chandler Jones back with his hands in the grass as linebackers Jerod Mayo and Dont'a Hightower return. Joe Vellano will continue to operate as the other 3-4 defensive end. But the health of some of these players, as well as the backups for all of them, will be a little more clear after Thursday's game. 3. The end of the line? — Safety Tavon Wilson and defensive end Jake Bequette may be suiting up for the last time as Patriots Thursday. Wilson, a 2012 second round pick, is still seemingly fighting for a job as the safety alongside Devin McCourty. His competition has been stiff with Duron Harmon and Patrick Chung leading the way. (Chung, it appears, has won the starting spot in the team's base defense.) For Bequette, a 2012 third round draft pick, things look a lot more slim. He's never really found a role in the team's defense despite practicing as both a 4-3 end and a 3-4 outside linebacker. Michael Buchanan, a 2013 seventh round draft choice, has continually outplayed him in both regards until Bequette had a fairly competitive camp. But that may not be enough to save him. These two will both be playing this game for keeps. 4. How much will Ryan Mallett play? 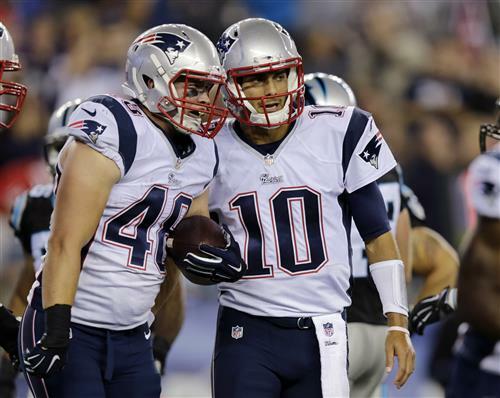 — The Patriots' alleged second-string quarterback played all of one series last week against the Carolina Panthers while Brady and Garoppolo got the lion's share of reps. The amount of reps Mallett receives, as well as the fact that he has come in games after Garoppolo, has led to some generous interpretations of Mallett's fate in New England. Those interpretations can certainly be amplified Thursday night. Unfortunately, they will not be silenced until Saturday's 53-man roster cut deadline. Or if he is ever traded. 5. Who will play, who won't? — It's the final game of the preseason, so there's not much incentive to risk star players in what is already a long offseason. This is also the Giants' fifth preseason game, which won't say much for the competition we're going to see on the field. (It's never been about that, but still.) Brady is out, that's for sure. But who else is? Again, jobs are on the line and the kicking game will be important to determining quite a bit of that. So we'll focus on that and see if we can interpret who plays into those competitions and who doesn't. Hopefully in the end we'll be able to deliver some meaning on what will have unfolded before our eyes. 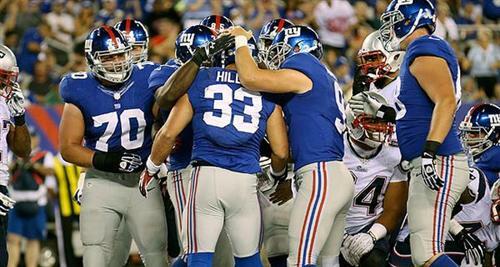 Records: Patriots 2-1; Giants 4-0. TV, radio: Patriots Preseason Television Network (Dan Roche, Christian Fauria, Matt Chatham, Steve Burton) on Boston's WBZ-TV, Springfield's WWLP-TV, Providence, R.I.'s WPRI-TV, Manchester, N.H.'s WMUR-TV, and Hartford, Conn.'s WTNH-TV; 98.5 FM The Sports Hub (Bob Socci, Scott Zolak).